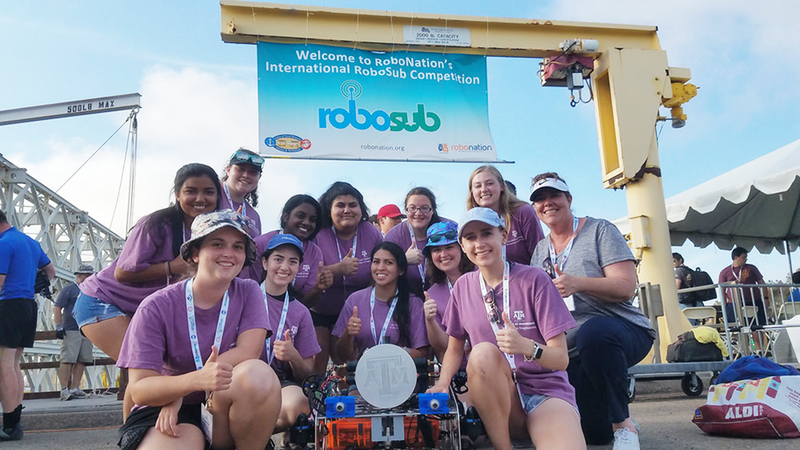 A team of 11 Texas A&M University women engineering students recently competed and qualified in the semifinals at the 2018 International Association for Unmanned Vehicle Systems International (AUVSI) RoboSub competition in San Diego, California. The team was one of 27 that qualified from the original 47 international teams. They also received an award for “Best Knowledge Transfer” for sharing information they learned to benefit other teams and another for mentorship, recognizing efforts in outreach to encourage other young women to pursue robotics. Northrop Grumman Corporation also awarded the team 10 internship opportunities for next summer. 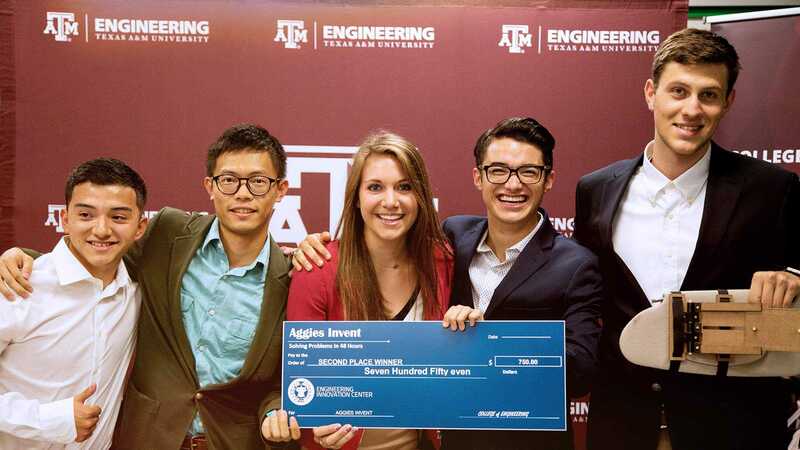 This was the first year that the company was awarding internships to university students that participated in AUVSI. Northrop Grumman representatives took an interest in the team after attending their static judging and technical presentation. The team has competed for the past three years and each time the autonomoU.S. underwater vehicle (AUV) is redesigned and improved upon. Past experiences and new ideas are called upon and combined together to construct a better robot than the year before. Each year, a new design leads to lessons learned in the field of underwater vehicles. Those lessons lead to a better build and a more robU.S.t and stable vehicle. 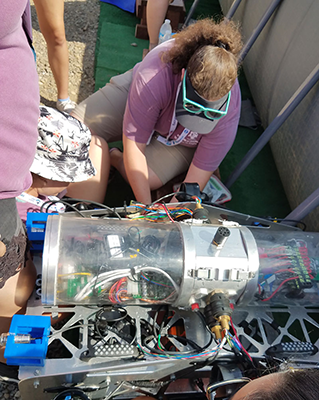 In partnership with the Engineering Design Center, the team works to build the AUV designed to autonomoU.S.ly navigate through a series of tasks that mimic ongoing research in autonomoU.S. underwater systems. 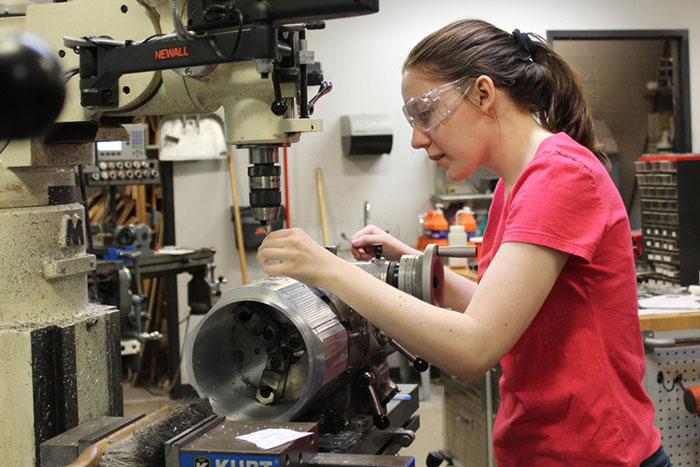 Along the road of building this competitive robot, students gain more than technical skills. 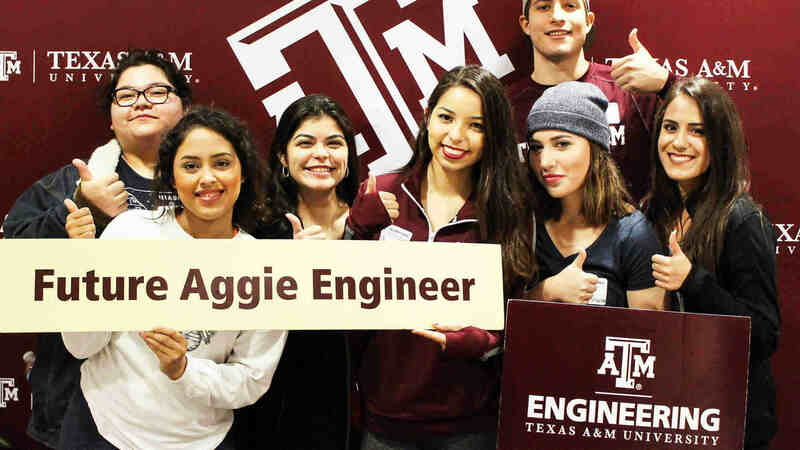 The WE Robotic Engineering Aggie Females, is a student-lead project team from Texas A&M, sponsored by the Women in Engineering program. 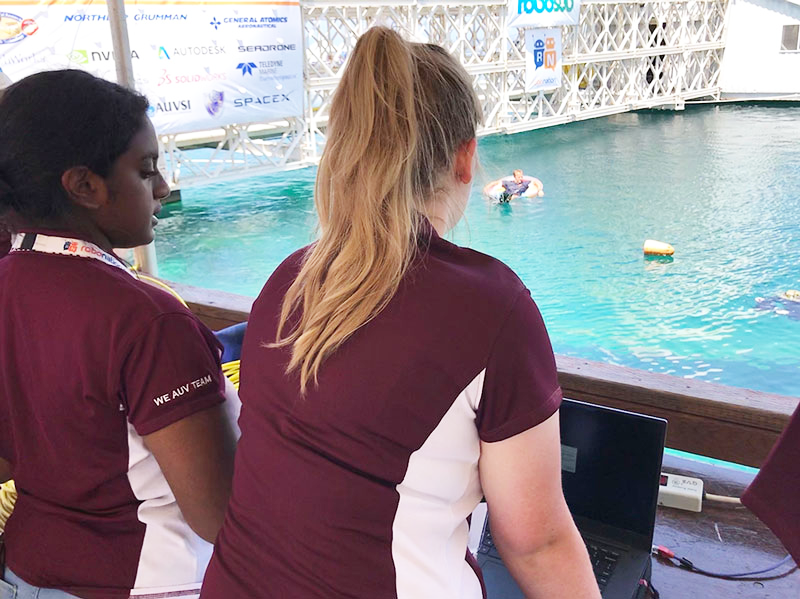 The team was divided into three sub-teams, programming, electrical and mechanical, and gives students the opportunity to apply their knowledge from the classroom to real-world scenarios. Even after spending a year designing and building the vehicle, competition day may not be smooth sailing. Long days are spent at the competition preparing for each test run. The team weathers through sleepless nights, working to solve the latest mystery of nonperfect performance. Dedication is an understatement when it comes to describing the members getting through those final weeks. Whether it’s moving forward after a design setback, or kicking back at the competition and having a Disney sing-a-long, the team agrees the lessons learned were worth the time spent working together.